What was done to you doesn’t define who you are. Over the last couple of weeks, we’ve heard from survivors who have felt afraid, angry, isolated, bewildered, anxious, hurt, and heartbroken. Survivors have had a need for safety, dignity, harmony, healing, belonging, inclusion, and security. Survivors’ loved ones have had a need for the well-being of the people they love. People have expressed a need for shared values and a shared reality. People have needed to feel connected. You are not alone. We want you to be able to remember that—always. And we want you to have easier access to the wisdom of survivors and survivors’ loved ones. 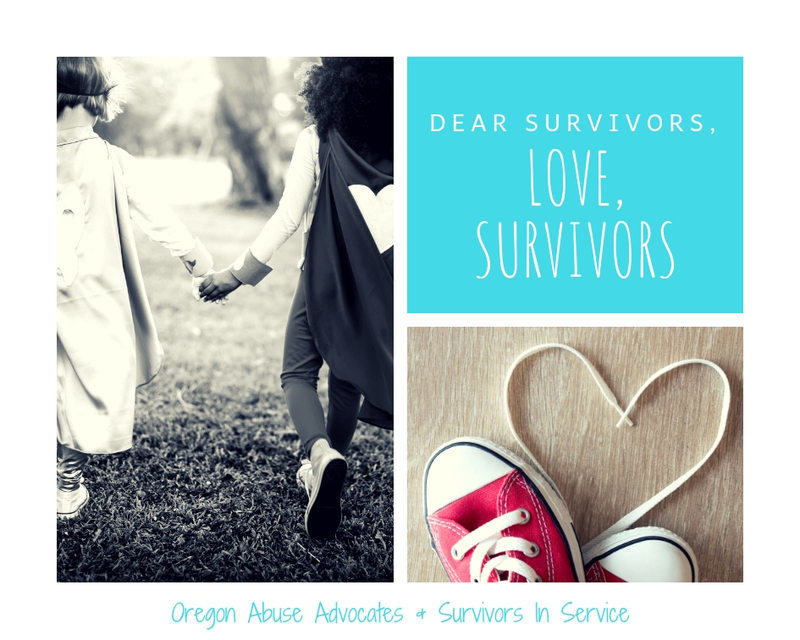 OAASIS created Dear Survivors. Love, Survivors. This is a downloadable, printable compilation of words of support and inspiration for survivors and loved ones, from survivors and loved ones. We hope you’ll check it out. And we hope you’ll know—and really feel—that you’re part of a community of wise, brave, strong, inspiring, caring, bold, and transformative people.